Dwyane Wade doesn’t do anything halfway. The 12-time NBA All-Star and Chicago-native spends basketball season traveling across the country sinking three-pointers, winning championships, and breaking records for the Miami Heat. When he’s not working, you’ll find him supporting various charity initiatives, making wine for his own Wade Cellars label, and traveling the world. 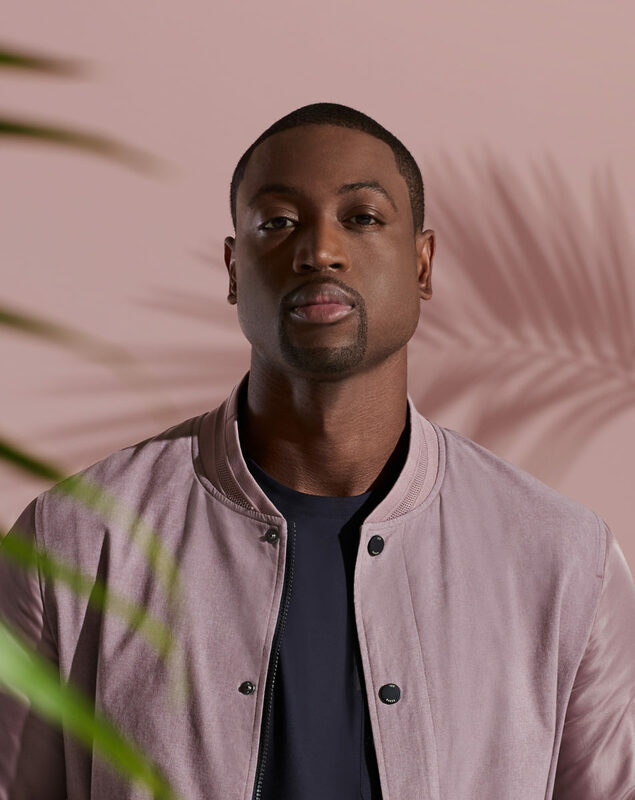 He makes it a point to take a few vacations each summer with his wife, actress Gabrielle Union: their last few trips have taken them to Greece, the South of France, and Italy on their #wadeworldtour. 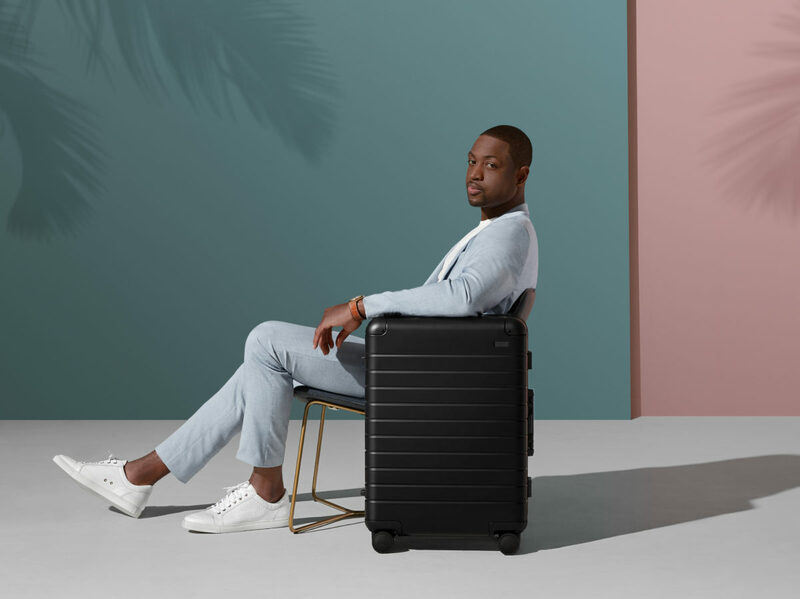 Add to the mix a recent suitcase collaboration with Away, and Wade’s become something of a travel mogul. Here, he shares what’s on his travel wish list, how he packs, and where he thinks you should go in his adopted hometown of Miami. How often do you travel for pleasure? Every summer I go on these extravagant vacations. I’ve been doing it for a few years now, maybe for the last five years. Before my wife and I got married, I thought the Bahamas were poppin’, and she was like, “No! It’s a big world out there and we’re going to see it.” She opened my mind up to traveling the world and seeing different things. Before, I didn’t like traveling out of the country, and now I love it. Where have you traveled recently that you loved? We just got back from the South of France—we’ve been plenty of times and it never gets old. You know how there are certain places that are, like, “I would definitely come back here?” The South of France is that place for me. This time we went to Monaco and did our own little tour. We had a good time. I’ve never been to Barcelona, and this summer, I’m looking forward to going. I’ve never been to Fiji, I’ve never been to Thailand—there are so many dope places to go, to learn about, and to see. I can’t wait to experience it all over my entire lifetime. And you don’t even know [about all of the places]. This last time my wife and I traveled, we were looking for somewhere to go before we went to Monaco for the Formula 1 race, and we discovered Saint-Jean-Cap- Ferrat—this little town that was one of the coolest places I’ve ever been. "Before my wife and I got married, I thought the Bahamas were poppin’, and she was like, 'No! It’s a big world out there and we’re going to see it.'" I always say that Miami is like a foreign country that you don’t need a passport to get to. How do you get to know the pulse of a place when you’re traveling? We ask. When we get somewhere, we sit down with the concierge at the hotel and say, “OK, what are the things to do? Outside of what we’ve researched, what are the must-dos in the city?” You know, what restaurants should we go to, what areas do we need to walk through, what beaches—all these kinds of things. And we take the advice of local people, instead of just going off what the Internet says. What are some things that you always pack when you’re traveling the world? So I think—no, I know—I’m an over-packer. Obviously, I never want to run out of body wash. I pack a lot of body wash, and if I’m going on a multiday trip, I buy more when I get there. I switch up my body washes. Sometimes I might want something that smells one way, or I want something that is a scrub, depending on what I feel my body needs at that time. Then I pack lotion, deodorant—the smell-goods. There’s not a day in my life that I don’t put on some form of cologne. I don’t care if I’m going to the gym, I like to smell fresh and be fresh and feel fresh. I always carry hand lotion, usually just Bath & Body Works—I’m that guy. Right now, I’m using one called Hands Off My Honey. Tell me about your collaboration with Away. The collection is kind of simple: The outside is a matte black, and the inside has a Miami-inspired palm tree-print lining. I wanted to keep it real clean because my favorite outfit to wear is a black suit and a white shirt. If I had to wear one thing every day, it would be a black suit with a white shirt. So I wanted something that felt like a classic uniform, with matte black and a little pop of color on the inside. What are some of the things you do to stay grounded and sane when you travel as often as you do, especially when you have to be so on top of it physically? I try to take things that remind me of the comfort of home. If you’re using a robe at home, if you’re using slides at home—whatever you use at home—try to pack those and use them on the road so you have that familiarity, that comfort, mentally, before you even think about the physical component of it. So that’s what I try to do—I try to make sure to take home with me. I also get up every morning on vacation and work out. A lot of people are like, “Oh, you’re going on vacation, you need to just chill!” And I’m like, yeah, I can chill after I work out, though, because I want to eat. What do you love about Miami? What keeps drawing you back there, aside from the basketball, of course? Well, maybe this sounds superficial, but it’s the weather! The weather is incredible. Every day, no matter how many years we’ve been there, my wife and I go on our balcony and look at our backyard and the water and the palm trees. It just does something to you. It brings a certain joy and a certain calmness, to be in a place like that and for that place to be home. But aside from that, what I really love about Miami is how diverse it is. I always say that Miami is like a foreign country that you don’t need a passport to get to. Do you have a favorite date night in Miami with your wife? Well, the ideal date night is popcorn on the couch and watching a Netflix movie or a TV show all night. That’s the ideal. But when we go out on the town, we like to go to dinner with friends, have a nice conversation, enjoy some drinks, enjoy adulting, in a sense. You gotta adult sometimes. If I were visiting Miami and had never been before, what are the three things I would have to do in town? Oh, that’s easy. First thing you gotta do is check out a Miami Heat game. The second thing you gotta do is go down to South Beach—you gotta go to the beach in Miami. And the third thing is that you have to go eat at Prime 112, because it’s one of the most popular places in Miami. Those are the three basics. 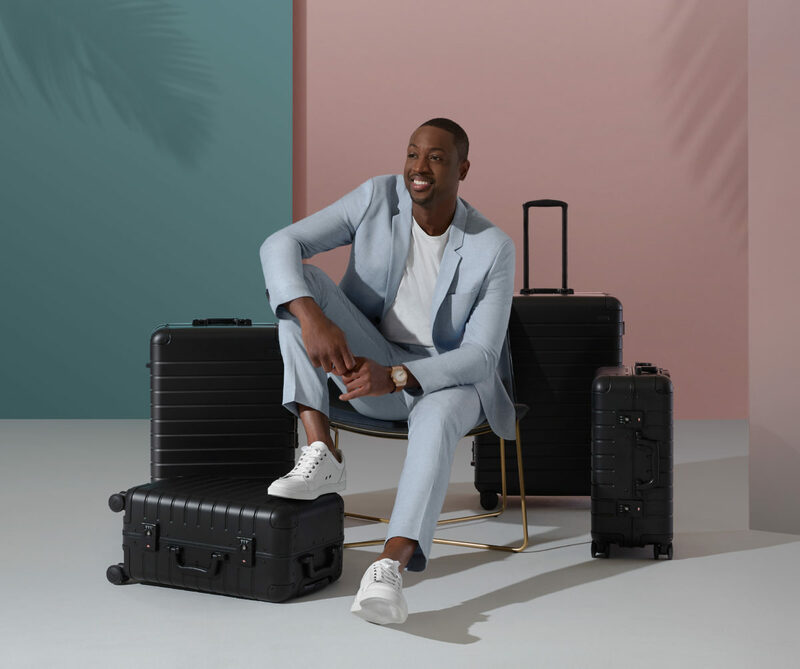 Wade "wanted something that felt like a classic uniform" for his collaboration with Away, drawing inspiration from the colors and beaches of Miami.